Love a berry vape but looking for something a step up? Try Berries Mix by Whistler, a blend of strawberry, raspberry, blackberry and blueberry that’s sweet, fruity and irresistibly juicy. Berries Mix has a high-VG formula for smoothness on the inhale and fruity billows of cloud on the exhale. 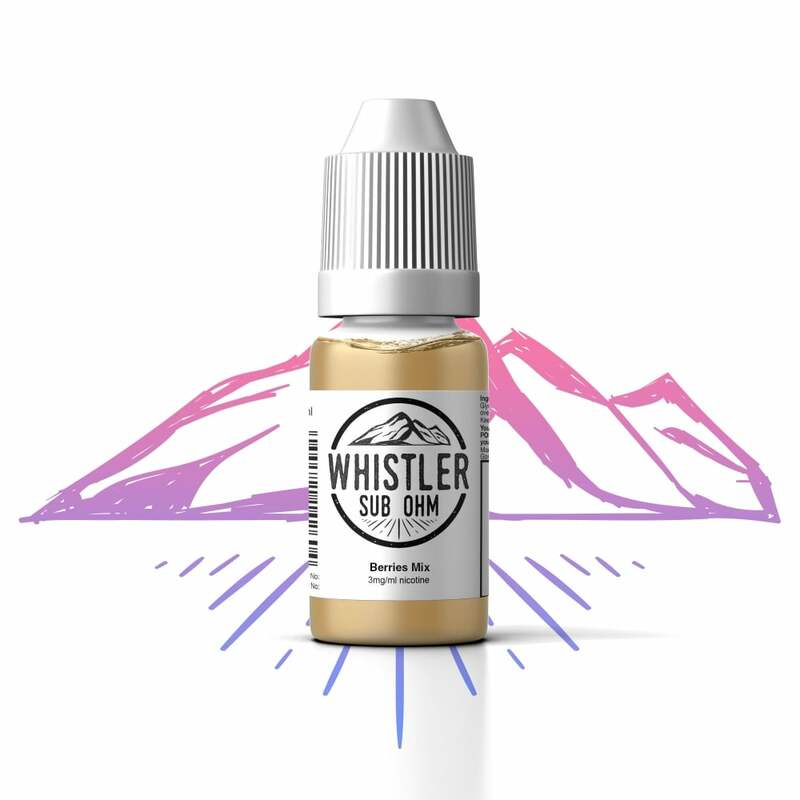 Perfect for sub-ohm vaping, the Whistler range takes a creative approach to e-liquid flavour combinations, producing e-liquids with an eclectic range of notes and tones, each perfect as an all day vape, first thing in the morning or last thing in the evening, ready to perk you up for the day or to help you unwind at night. Great value for money, Great taste and cloud. One of my regular purchases. Didn't like the taste very much. I didn't think it tasted like mixed berries. Wouldn't purchase again. Very nice, full of flavour. I was given this with my vape box bundle. I would certainly buy this liquid by itself.